Cup foam lance Basic 2 41120540 https://www.kaercher.com/ae/accessory/cup-foam-lance-basic-2-41120540.html Newly developed, very robust Basic 2 cup foam lance especially for high-pressure cleaners with a flow rate of 700–800 l/h. For excellent foam quality with half the cleaning agent consumption. 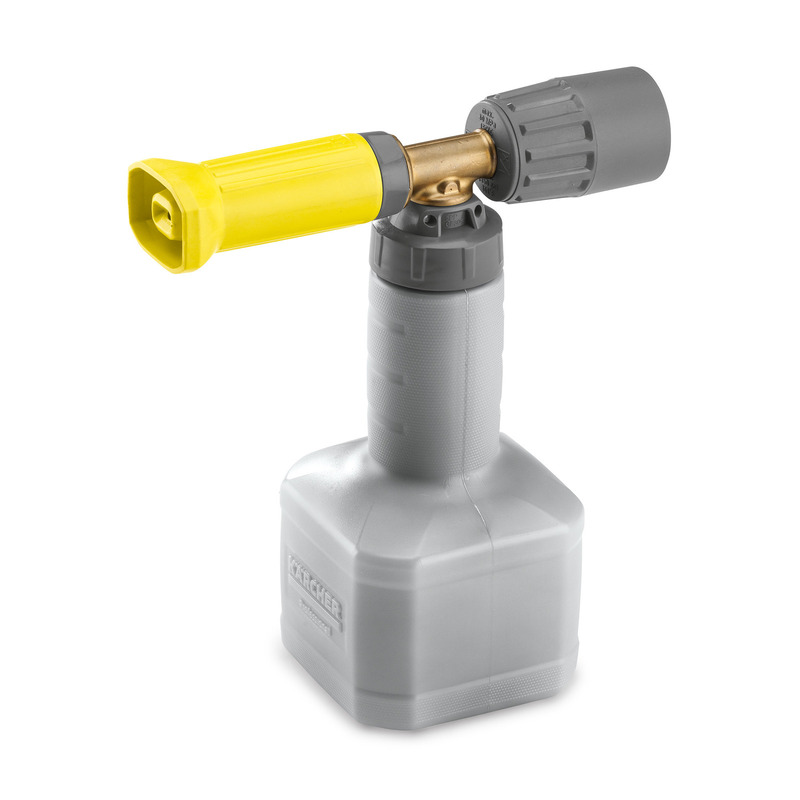 Newly developed, very robust Basic 2 cup foam lance especially for high-pressure cleaners with a flow rate of 700–800 l/h. For excellent foam quality with half the cleaning agent consumption. High-quality workmanship and the use of robust components, such as a brass base body, guarantee a long service life for our newly developed Basic 2 cup foam lance. The machine is designed for high-pressure cleaners which have a flow rate of 700 to 800 litres per hour and do not feature our Servo Control function, and it impresses with outstanding foam quality. At the same time, your cleaning agent consumption will be reduced by about half when using our RM 838 VehiclePro foam cleaner. An integrated plate allows precise, three-stage adjustment of the dosage and eliminates the possibility of unintended adjustment. In addition, the stable, robust and ergonomic cleaning agent container is also very easy to fill thanks to its large opening and is quick to replace.